Cup of Coffee 4/24: It was a rough night for Red Sox affiliates as all four full-season teams lost on Saturday night. Anderson Espinoza wasn't at his best in a loss for the Drive. Big nights for Salem's Nick Longhi and Ben Moore were two of few standout offensive performances in an all-around disappointing night on the farm. Starting pitcher Keith Couch cruised through his first four innings on Saturday afternoon, striking out three and allowing just one run on two hits. However, the IronPigs got to him with a five-run fifth inning, which sunk Couch and the PawSox. Couch finished his day having allowed six runs (four earned) on eight hits across seven innings in his first start of the season. Jorge Marban finished off the game in relief for the PawSox, allowing a run and striking out two in a pair of innings. The Sea Dogs played a doubleheader on Saturday afternoon. Heri Quevedo drew the start in the first game, tossing four scoreless innings and faltering in the fifth. Quevedo was charged with five runs in the inning and was not able to record an out before being pulled. All told, Quevedo surrendered five runs on six hits and three walks in just four innings and change. Left-hander Williams Jerez took the ball from Quevedo and pitched two innings, allowing a run and striking out two. It was a quiet game for the Sea Dogs' lineup as Portland was held scoreless. Wendell Rijo, who went 1 for 3 with a double, and Tim Roberson, who was 2 for 3, represented the closest thing to offensive standouts for Portland on Saturday. The Sea Dogs had another tough offensive performance in the second game of the doubleheader on Saturday, but they did get better pitching in the second go-around. Mike McCarthy started for the Sea Dogs and allowed just two runs on four hits in five innings, bringing his ERA down to 3.38 on the season. Chandler Shepherd worked a scoreless inning of relief, allowing just a hit. Portland was at least able to scratch a run across in the game two, but it took until the seventh inning to even accomplish that. The Sea Dogs were held scoreless for six innings before Cole Sturgeon, who ultimately went 2 for 3, led off the seventh with a double and came in to score on a single by Aneury Tavarez. A six-run night from the vaunted Salem lineup was the only impressive hitting performance from any Red Sox affiliate on Saturday. 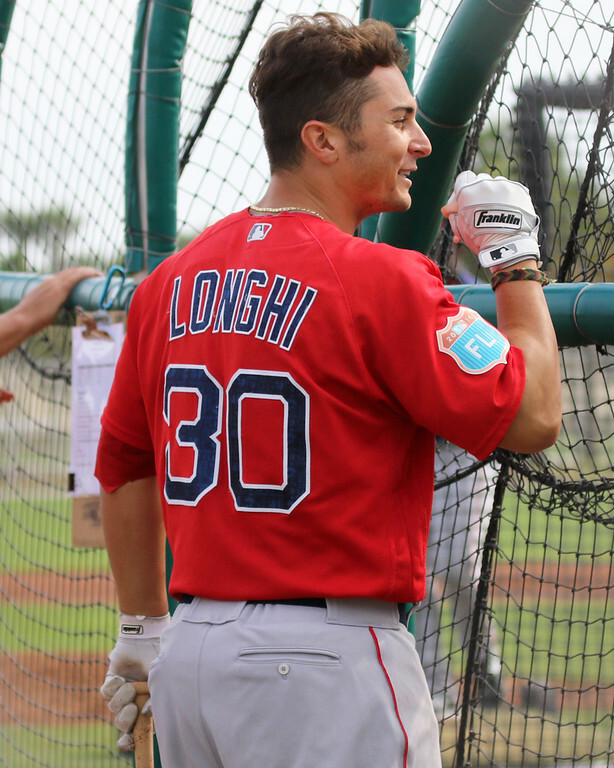 Nick Longhi was the big bat for the Red Sox, recording RBI singles in the first and third innings and an RBI double in the seventh. Catcher Ben Moore knocked a solo home run as part of a 3 for 4 night. Andrew Benintendi went 2 for 5, doubling and driving in a run with a single in the ninth and Yoan Moncada went 2 for 5 with a pair of singles and scored a run. Matt Kent had a tough night on the mound for Salem, allowing five runs on 11 hits in five innings, though he did strike out four and walk only one. In relief, Adam Lau allowed three runs in two innings and Jake Drehoff allowed a run in one inning before turning the ball over to German Tavarez for a perfect ninth inning. 19-year-old phenom Anderson Espinoza started for the Drive on Saturday night and, as always, was the center of attention. However, he lasted only 3 1/3 innings and walked three batters, though he was able to minimize the damage and allow just one run. Espinoza was followed with 2 2/3 innings of scoreless relief by Anyelo LeClerc. Kuehl McEachern then allowed the floodgates to open, allowing six runs (five of which came in the ninth inning) in three innings of relief. The Drive pushed across a pair of runs in the first inning as Joseph Monge scored on an RBI double by Michael Chavis and then Chavis came in to score on a wild pitch. After that first inning outburst, the Drive were largely held silent, plating just one more run on an RBI double by Luis Alexander Basabe in the sixth inning. Kyri Washington, who is now hitting .321/.345/.696, went 1 for 3 in the game and extended his hitting streak to seven games. Player of the Night: Though he is often overshadowed by the bigger names in the Salem lineup, Nick Longhi has quietly gotten off to a solid start in High-A. He had his best night of the young season on Saturday night, going 3 for 4 with a double, a walk, and three RBI to raise his slash line to .292/.347/.369 in 16 games. He has yet to show much game power but he is continuing to hit for a high average and reach base regularly, just as he has throughout his minor league career thus far.